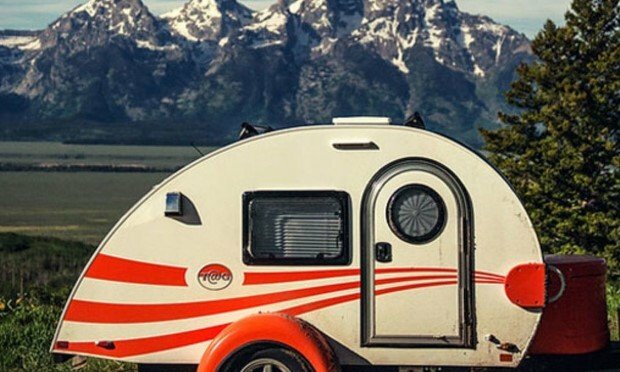 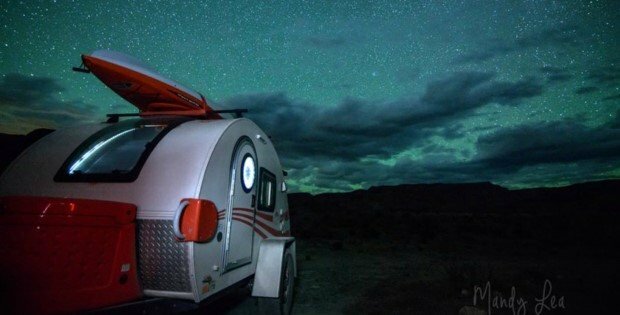 Tired of the lifestyle she once had, photographer Mandy Lea decided to pursue her passion in photography, pack up her gears and hit the road in a teal teardrop shaped trailer she bought some eight months ago. 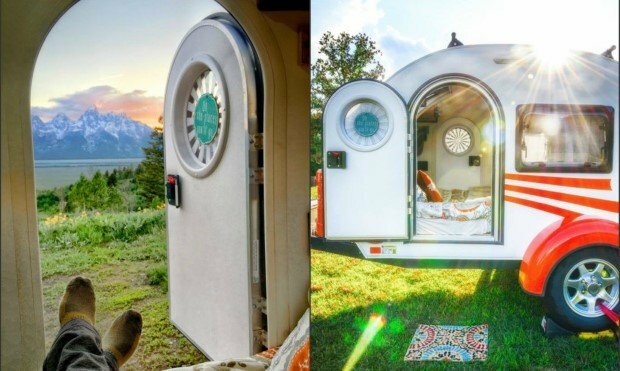 Soon enough, that trailer was stolen and never found despite Lea’s persistent rummage and the help of strangers. 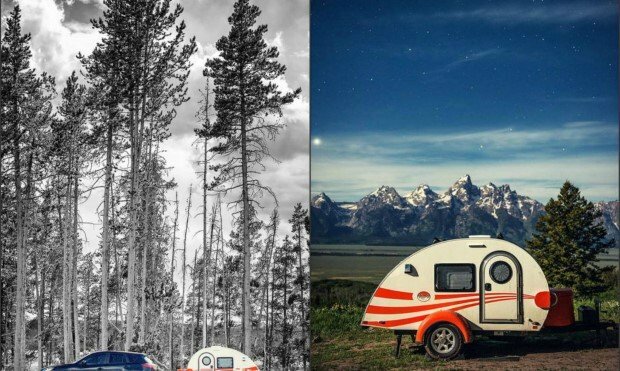 Against all odds, Lea did not give up and bought a new orange camper she named “The Phoenix”. 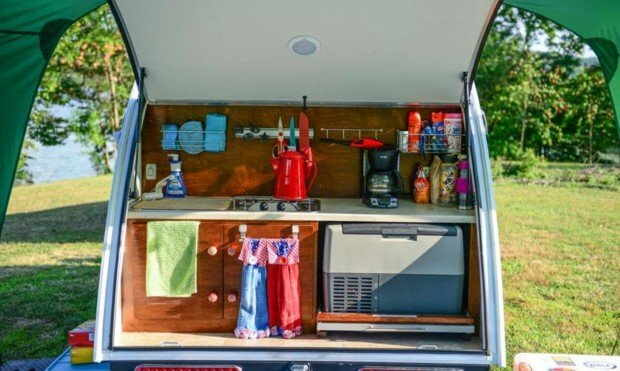 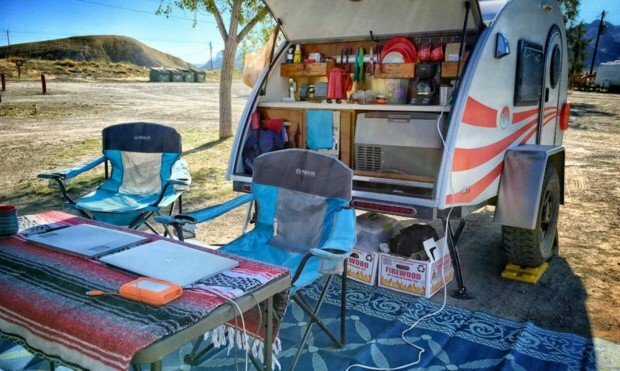 The camper has all the comforts of a tiny home: indoor shelving, custom-made cabinets and an open kitchen space at the rear of the compact camper. 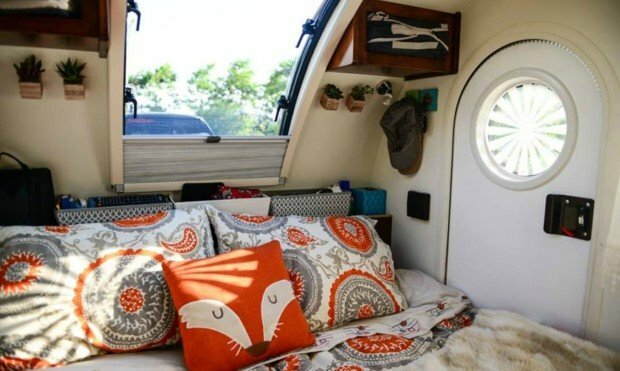 For personal touches to make her feel at home, Lea added a comfy bed, curtains, custom wooden knobs, and a tv. 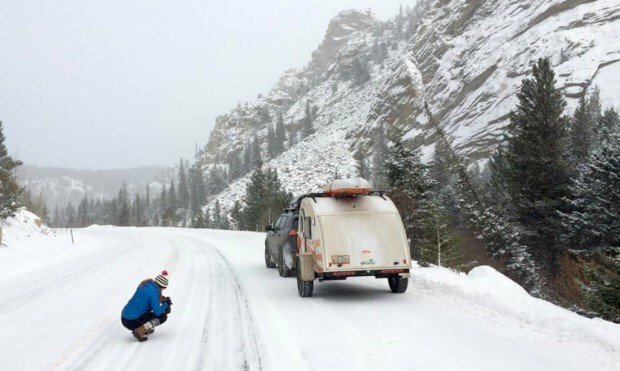 Lea has now traveled to more than 28 states in 3 different countries, and created an amazing collection of wildlife and landscape photography she shares through social media.